Community, forums and social sites drive a lot of traffic from user interaction. This means you need to offer your users a great experience and what better way to do that than with one of the best community WordPress themes? In this post, we list 15 of the best (in our opinion) community WordPress themes suitable for your bbPress or BuddyPress site. We cover feature-rich and responsive themes that come with excellent customer reviews. That out of the way, let us discover what the community WordPress theme market has to offer. Enjoy and share your findings at the end. Looking for a quick and easy way to build your own forum? We have to mentioned the Total theme. With integration and styling options for bbPress forums it’s Total is a great way to build a website to get the conversation going, create a support form for your product, start a community events board for your neighborhood, etc. The theme comes with a powerful extended version of the WPBakery page builder complete with drag and drop modules for over 50 different page elements including buttons, titles, sliders, images, tabs, toggles and of course bbPress forums, logins and more. Added features in the live WordPress Customizer make choosing custom fonts, colors, default layouts, header and footer designs and more easy. Want more than just a bbPress theme? Not problem. Total is compatible with most major plugins including (but not limited to) WooCommerce, the Events Calendar, Elementor, Open Table, WPML, Polylang, Yoast SEO, JetPack etc. Plus the theme comes with premium plugins, like Slider Revolution, Visual Composer and Templatera for FREE. Other key features include 40+ quick import sample demos, extensive online documentation and 6 months of premium support – so you can get started fast (or ask for help if needed). If you want to build a forum your best best is a WordPress theme created and designed specifically for that purpose. One of the best bbPress themes around is ForumPress by HeroicThemes. To start off, ForumPress is easy to install thanks to the setup assistant. Just follow along with the prompts to activate and install the theme. You can even install sample data if you need a bit of help figuring out how to configure your core forum pages. Plus ForumPress is customizable. Just use the live theme customizer settings to make your forums match your brand. Edit colors, body font, site logo, footer copyright and more. Plus, with ForumPress all the features you need to extend your bbPress forum are built in. Create multiple forums for users to connect. Manage topics and replies with easy. Enable user profiles, user pages (to display profile info, topics created by the user, replies and favorited posts) and even add a forum live search. ForumPress is also responsive, compatible with popular plugins (such as Yoast SEO and Contact Form 7), and includes update and support for a year. You don’t have to be a professional developer or designer to build excellent websites thanks to the Kleo BuddyPress theme. Don’t let the term “BuddyPress” throw you off, Kleo is perfect for bbPress and other community WordPress sites. Seventh Queen, the power elite author behind Kleo offers you 27 demos that you can install with a click. Alternatively, you can create your template from scratch since Kleo ships with a horde of impressive features. We are talking about features such as an intuitive admin panel, unlimited customization options, multiple site layouts, drag-and-drop page builder, Sensei plugin, Facebook login integration, BuddyPress profile and group covers, live notifications and so much more. Handcrafted by power elite author GhostPool, who specializes in BuddyPress themes, Aardvark is a complete and robust community WordPress theme suitable for your BuddyPress networks. That’s not all; Aardvark is also suitable for online stores, paid membership sites, online courses, news sites and general blogs among other sites. All because the theme packs quite a punch in terms of features. 15 pre-built demos you can install in a click give you a head start with your design. But if you’d like to create your page layouts from the ground-up, Aardvark comes with the WPBakery drag-and-drop builder. 200+ theme options mean you can create the community site of your dreams without touching a line of code. Socialize by Ghostpool is a remarkable WordPress theme that is perfect for any community-focused website. It’s is as colorful as it is useful, what with a cache of amazing features. We are talking about easy bbPress/BuddyPress integration, four homepage variations, six post layouts, nine category styles, Ajax page load, WPBakery page builder, great menus and unlimited customization options among others. Socialize comes with a child theme and a one-click demo site, both of which make creating your community site a breeze. Build community websites like a boss with a BuddyPress theme like no other. Buddy is a fully fledged community theme that puts a lot of design freedom in your hands. It features a unique throw-back forum design that helps your social site to stand out from the crowd. Additionally, Buddy ships with powerful shortcodes, multilingual support, front-end registration, retina image support, font icons, site-wide search and multisite compatibility among others. Buddy plays well with plugins such as BuddyPress (of course), WooCommerce, bbPress, BuddyPress Activity Plus, Yoast SEO and more. The theme is customizable and extensible. A dating portal is just one example of the many social sites you can create on WordPress with plugins such as BuddyPress and bbPress. For the dating and relationship industry, you cannot afford to miss the mark with your design. Sweet Date offers you an all-in-one theme that promises to increase user interaction on your dating website. Well, you can use Sweet Date for other websites, not just dating sites. All because the theme is easy to set up and customize. You can expect features such as membership levels, Facebook login integration, partner matching system, smart notifications, unique profiles, online status, Ajax instant search, shortcodes and a powerful admin panel among others. In the BuddyPress niche, few WordPress themes can compete with Thrive, a powerful community theme that comes with an extensive list of features and then some. From our first impression, the design isn’t disappointing either, which means you have a theme you can depend on in Thrive. What’s in store? Well, all the features you need to create a formidable community site. Thrive boasts of features such as the Thrive Set-up Wizard, WPBakery page builder, personalized login pages, live messages, a project manager, file sharing, collaborative documents, community forums and a slew of bundled premium plugins among others. Thrive offers you all the power you need to create social sites, staff intranet, learning platforms, forums, private sites, and any other community website you have in mind. With a good number of features including unlimited customization options, nothing should stop you from creating the social site of your dreams. Seventh Queen makes yet another appearance, this time with BuddyApp, a mobile-first and minimalist community theme perfect for your social site. With a creative mobile-friendly design and features out of this world, you can run your networking site on the go. BuddyApp comes with features such as a bonus HTML5 landing page, live notifications, Ajax search, full live customizer support, live chat, knowledge base, advanced file management, three menu locations, bbPress forums, Facebook login, profile/group cover photos, and the list goes on. On top of that, BuddyApp ships with top-notch plugins such as WPBakery page builder, WP-Polls, BuddyPress Like, Cleverness To-Do List, Visualizer: Charts and Graphs and much more. Don’t take my word for it, give the demo a test drive and come back with your findings. So, what do you do to have users flocking to your social networking website? Quick answer: you create an appealing and user-friendly website using a formidable WordPress theme such as Flocks. While it doesn’t have that many sales, Flocks spots a splendid customer rating, a simplistic design, and features that will blow your wig off. Right off the box, Flocks is a social-networking ready theme that makes building any community website as easy as pie. You can use Flocks regardless of your skill level thanks to a bounty of features such as eight beautiful demos, social login, WPBakery page builder, four unique header and footer styles, personalized cover photos, and so much more your head will be reeling in awe. A great website costs an arm and a leg, right? Wrong, especially when you have Egemenerd, the elite author behind the Besocial WordPress theme, in your corner. Just to put it out there, Besocial is the second best-rated theme on our list, and I have a feeling the rating has everything to do with the impressive design and an endless list of features. That being said, what’s on offer? Besocial offers you exciting options such as social login, live notifications, an events calendar, front-end post submission, mutual friends, FAQ system, bbPress forums, multiple post formats, Facebook comments, and one-click demo import among others. People wonder which theme is hot, and that conversation ends here. Eonet is one of the more unique community WordPress themes, made with your community’s interations in mind. It is fully customizable and scalable but remains simple enough to let you create a brilliant website without writing a single line code. If you aim to boost user interaction (and who isn’t) on your social site, you want to go with the Eonet network WordPress theme. The theme is packed to the brim with features that help you to drive interaction on your community site. If you’re wondering, Eonet comes with features such as live chat, connections directory, dynamic blog, members map, WPBakery page builder, private pages, social login, demo content, and a robust admin panel among others. The theme helps you to customize your social network extensively. Whether you’re in Boca Raton sipping some Roca Patron or traveling across the globe doing your thing, you need a dependable WordPress theme that ensures your users are having a great time. Enters Salutation and the day is saved. Salutation is a simplistic WordPress theme that is giving the competition a run for their money left, right and center. It features a simple design but make no mistake; this bad boy packs a punch as far as features are concerned. It’s laid back, yes, but it is a formidable theme by all means. The feature list spots the usual options such as Slider Revolution, a drag-and-drop layout manager, contact form builder, sidebar generator, unlimited colors, multilingual support, popup login form and powerful admin options among others. Last but not least comes Gwangi, a WordPress theme perfect for all types of dating and networking sites. The theme is relatively new in the market (it’s three months old at the time of writing), but it is a worthy contender for this collection of community WordPress themes. Why? You ask. Well, for starters, Gwangi focuses on your content with a state of the art design. That, plus you can customize every element to your heart’s content. There aren’t that many BuddyPress themes, so when you spot one that rocks, you better keep it. Gwangi is one such theme. The features department will knock off your socks. You can expect features such as a matchmaking system, member swap Tinder-style, Ajax global search, mutual friends, unlimited member listing, excellent messaging features, ability to follow other users and so much more. Lynk is a BuddyPress and bbPress compatible theme you can use to build a social site or online forum. But that’s not all – Lynk offer a ton of other features for business directories, magazine or new sites, events and online stores. Lynk offers everything you’d expect from a community theme, but there are also a few surprises. Such as mega menus, ajax global search, customizable user menu, front-end forms, user notifications (messages, friend requests, new posts, etc. ), MailChimp integration and more. The secret to picking an excellent community WordPress theme lies in understanding your specific site needs. On top of that, we encourage you to go for a responsive and feature-rich theme. For example the Total WordPress theme – it really is a true multipurpose theme. 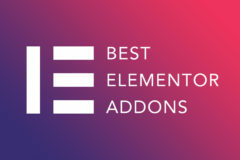 First, decide between BuddyPress or bbPress (basically, social network or forum), then pick one of the awesome themes above (just be sure it supports the community option you chose in step one), add extra plugins if you need more features (like these BuddyPress extensions) and lastly spread the word about your site to your network. You’ll have a thriving community in no time. All in all, endeavor to offer great user experience and your community site likely succeed regardless of the theme you choose. Having the best WordPress theme means jack if you can’t offer your users a great time on your site. Do you agree with our list of 15 community WordPress themes? Did we leave out your favorite theme? If so, please share with us in the comment section below. Thanks for the selection! You can add Disputo, Boss, Klein, Buddy themes with BuddyPress support.